Do you ever have those weeks that feel like 7 days and then have weeks that feel like 700? Strangely enough, this week felt like both! The days went way too fast but with everything that I had to get done and had going on, it seemed like it would never end! I started this week out with a bang and headed to California on Sunday with Layla for a Poppy & Dot buying trip. We head down there once a month (or try to). I had been feeling like crap over the weekend and it just got worse on the flight there. Dr. Layla has this uncanny knack for correctly diagnosing ailments and after she diagnosed me with strep on the plane, a look at my throat that night and the white spots ALL OVER IT would prove her right! Thank goodness for Dr.s on call and local pharmacies. I was able to get a prescription right away. The good news? The buying trip was a success but powering through strep was terrible and it made the trip brutal! It tastes a little minty, a little citrusy, and has a touch of honey – I love it! Good to note that if you don’t want all the sugar that’s in lemonade, you can swap for 1/2 lemon juice and sweeten with additional honey. The honey linked above is raw honey and is full of probiotics and enzymes that are good for the gut as well! And of course, no buying trip would be complete without an adults only Disneyland visit! 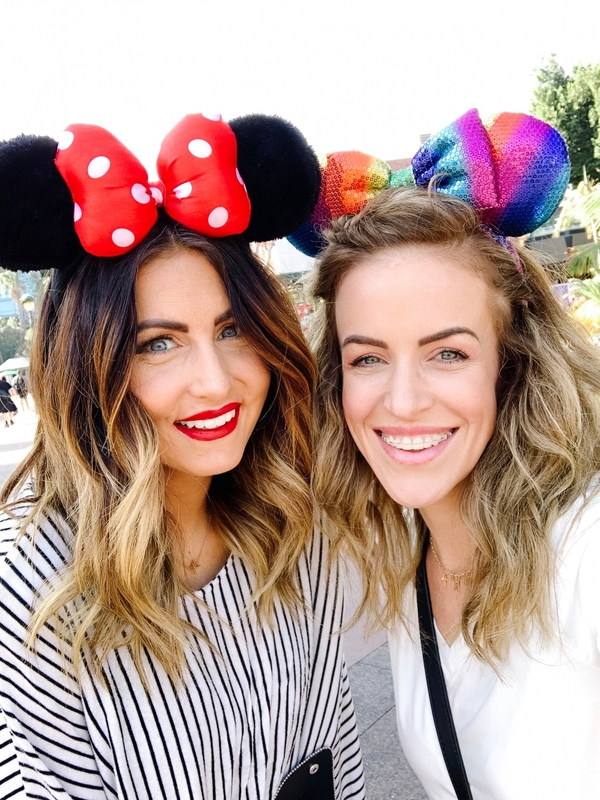 If you’ve never done Disneyland without kids, you haven’t lived! We only had 3 hours so we took care of essentials: Thunder Mountain Railroad, Indiana Jones, snagged one of our favorite Mickey macaroons, and met a few of you guys there – I always love when people say hello! So the puppy no longer pees in her crate and this is a HUGE win!! She also only whines a teeny bit when she is in there – also a big plus, especially at night! 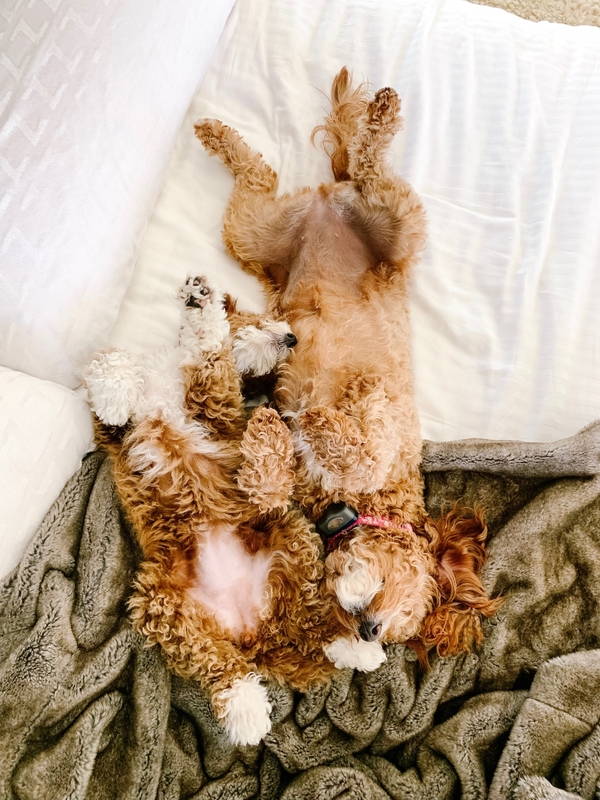 I honestly didn’t know if Goldie was ever going to be ok with the new puppy – this picture explains exactly how she felt! But on day 8, after everybody took a day to rest, Goldie and she finally decided to like each other. Thank heavens! I even caught them snuggling! 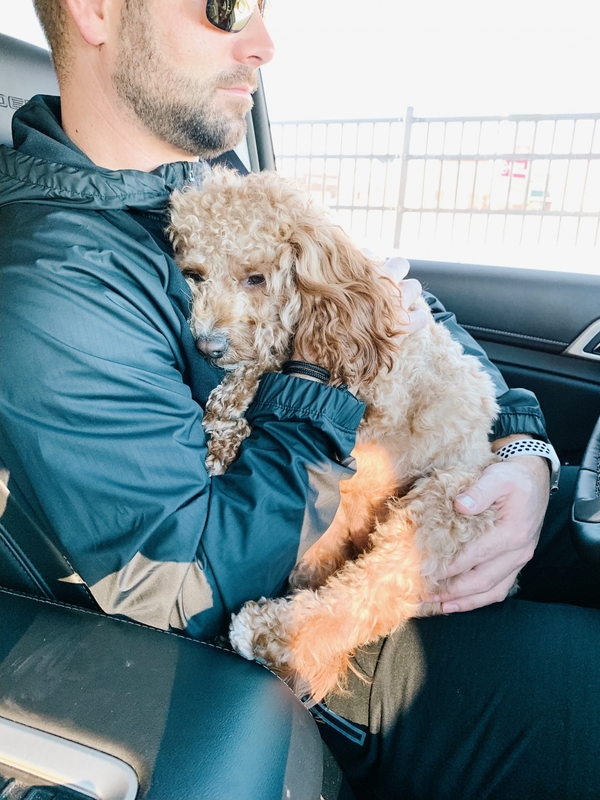 Also, we are terrible but we may have a name change happening – I just can’t get behind Olive…stay tuned. Braun surprised the boys and flew them to Texas to see their cousins. If you remember last week, Dash got a message from his cousin telling Dash that he was expecting him at his house in 7 days for his birthday. Dash took it very seriously and was very concerned that he wasn’t going to be there. Friday they flew out and showed up on his cousin’s doorstep and it was ADORABLE! Braun served an LDS mission there long ago and now his brother lives there and he has a deep love for that place! Dash and Jett miss their cousins so bad so this is was a fun pre-birthday adventure! If you want to follow along or catch the tail-end, check out Brauns IG. Thursday night I headed to my girlfriend Leanne Barlow’s Dress Tour event. 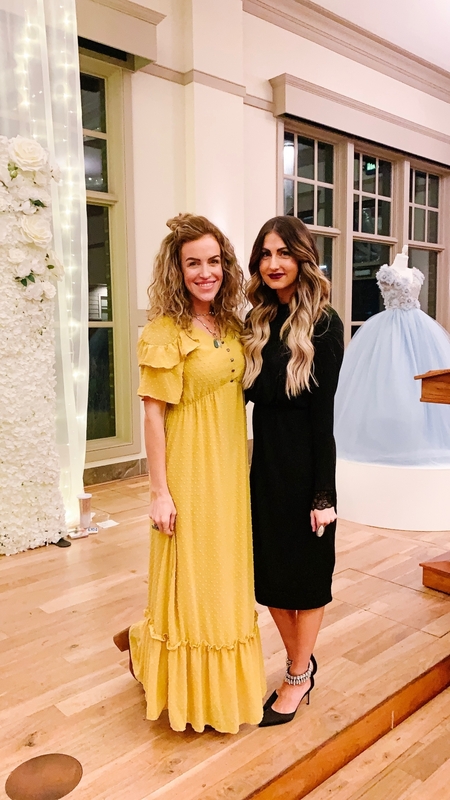 If you haven’t seen her website with all of her gorgeous dresses, you gotta check it out! 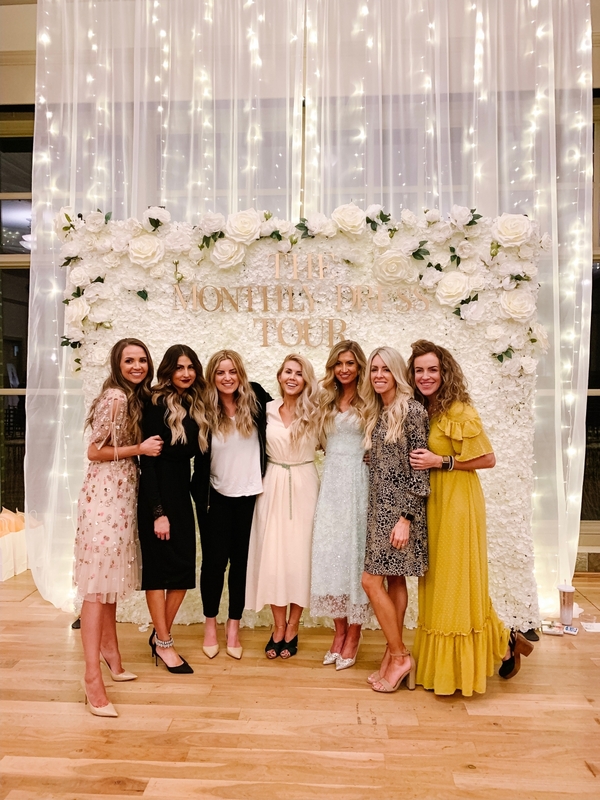 Leanne is so incredibly talented and she made a dress every single month of 2018. Loved seeing them and also catching up with all of these awesome ladies! Over the year’s we’ve had the opportunity to work with some of the most amazing women. We’ve always made an effort to employ and support working moms who believe in our vision and live Poppy & Dot! 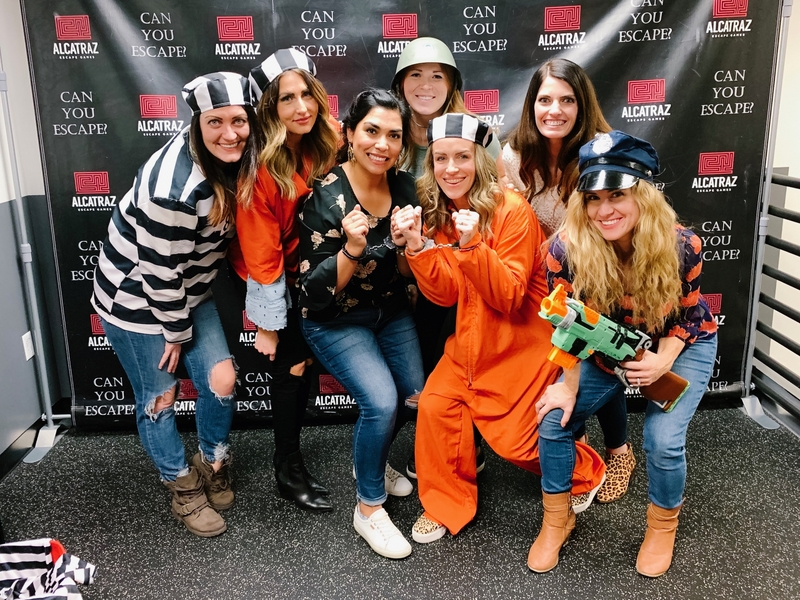 We were due for a night out and wanted to treat our girls to something fun and Alcatraz Escape Games was the perfect place! I was pretty unsure we were going to make it out of there in time but we did with 2 minutes to spare! If you’re looking for a fun group or family night out, this is the perfect activity! 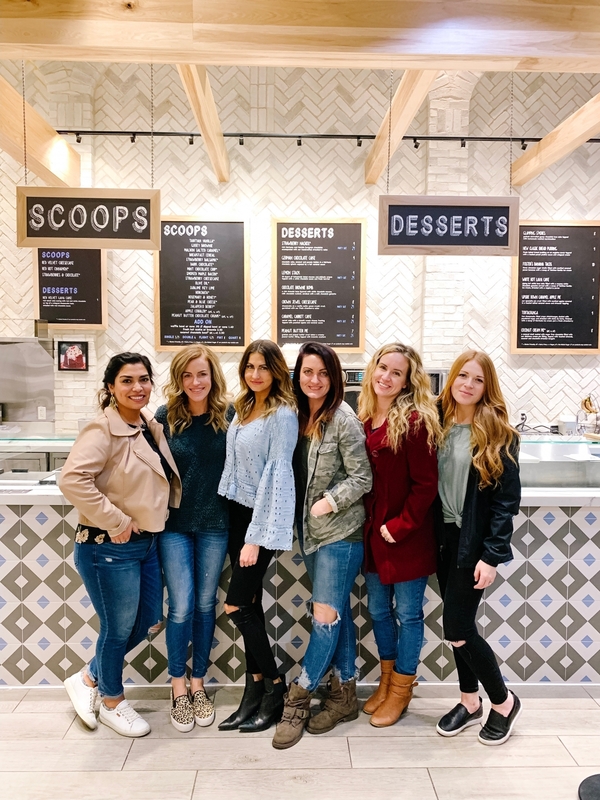 And no GNO would be complete without dessert! Last Course in Sandy is HEAVEN! Yummy everything and the best way to end the night! We had so much fun and plan to do this more often! Anisten is seriously the easiest kid I’ve ever had. This is the kid who didn’t want us to spend money on Christmas and instead wanted Emery’s old bike. So when you get start getting RSVPs when you’re on a plane for a party happening in 3 days, you pull it together, call Alisha at Cravings in Pleasant Grove, and somehow, your party magically happens! We used a coupon from Michaels and picked up a bunch of their cheapest canvases (ended up paying like a dollar for each one) and printed out some coloring pages that we then taped on the back, held up to a window, and traced on to the canvases – these girls had the best time! 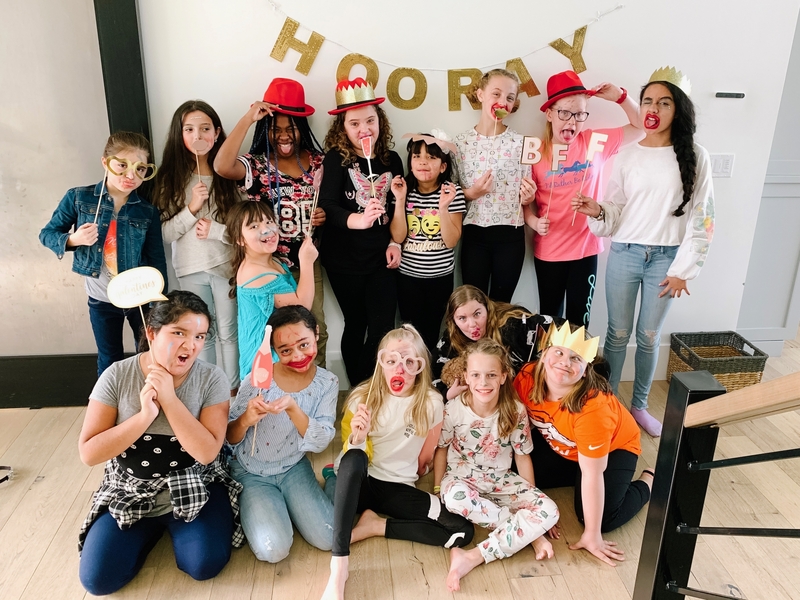 We also reenacted a YouTube challenge that my Anisten loves to watch… a blindfolded makeup challenge. It was a disaster but definitely the highlight of the party. It wouldn’t be the Thueson household if we didn’t have Amazon packages showing up every few days! I got these candies this past week and Braun HAS NOT STOPPED eating them. I’m still on the fence but Valentine’s might be the best holiday candy! Those jelly cinnamon hearts too… yum! I’ve been making bath bombs with my girls this weekend (will share the recipe if it works!) and bought this scent. It smells IDENTICAL to the volcano candles everyone loves! Braun and I are headed on a tropical retreat in a few days and I picked up this swimsuit coverup – suuuper cute! NOTE: It runs small! I exchanged mine for a bigger size – still adorable! I also picked up a few swimsuits.. this one, this one and this one are on their way to me at 40% off!! Can’t wait to get them. This one, this one, are coming too (not on sale) but I loved them! Emery and Annie have been asking for journals so I recently picked up these dot journals. Total win and I know they’re going to love being able to go back in a few years and read what they wrote. You guys asked and I’ve linked the dog playpen that we’ve been keeping Olive in. It’s durable, folds up easy, and keeps her contained while she’s house-training! And last but not least, I picked up some new pens and you guys know me – pickiest pen user of ALL TIME and these are my new favorite! They write fine and are SO SMOOTH. This week is going to be NUTS but I’m so excited – I have 2 AWESOME giveaways planned for stuff I know you want and some perfect gift ideas for Valentine’s Day! I also have a tech piece that I think it going to blow your mind! If there’s something I’m missing or something you want more info on, tell me below! I love reading your comments and I try to reply to all of them!